Maggie is the only one of the moo croo who was born at Chestnut Farm. She first discovered she had a great sense of rhythm after a mishap in the yard. She got her front hooves stuck in a couple of cartons, one of which was full of nails. For the rest of the day she walked around the farm with a bop, tish, bop, tish, bop, tish. Although she is glad she found her talent, she did learn that it's always best to clean up after yourself and put things away in a safe place. 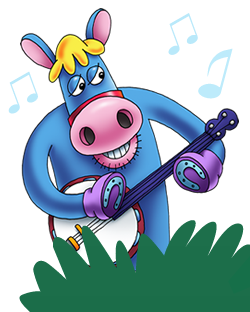 Ollie grew up on the farm next door to Chestnut Farm and would often sit at the fence, peering through, wishing he could join in with the moosic makers. 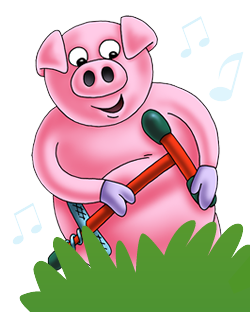 Someone once said to him that he would only be able to join the band when "pigs could fly". Henry first came to Chestnut Farm to replace Bob, whose job it was to pull the ploughs. (Bob don't work on Maggie's farm no more). You know how Doris came to be at Chestnut Farm, but how she started to play the bass is another story. Like all the best bass players Doris started out as a guitarist, but the rest of Chestnut Croo really needed someone to play the bass. One Christmas, Maggie, Ollie and Henry all chipped in and bought Doris a beautiful red bass. Doris quickly fell in love with her new bass and found it much easier to play than the guitar because of her large feathers. 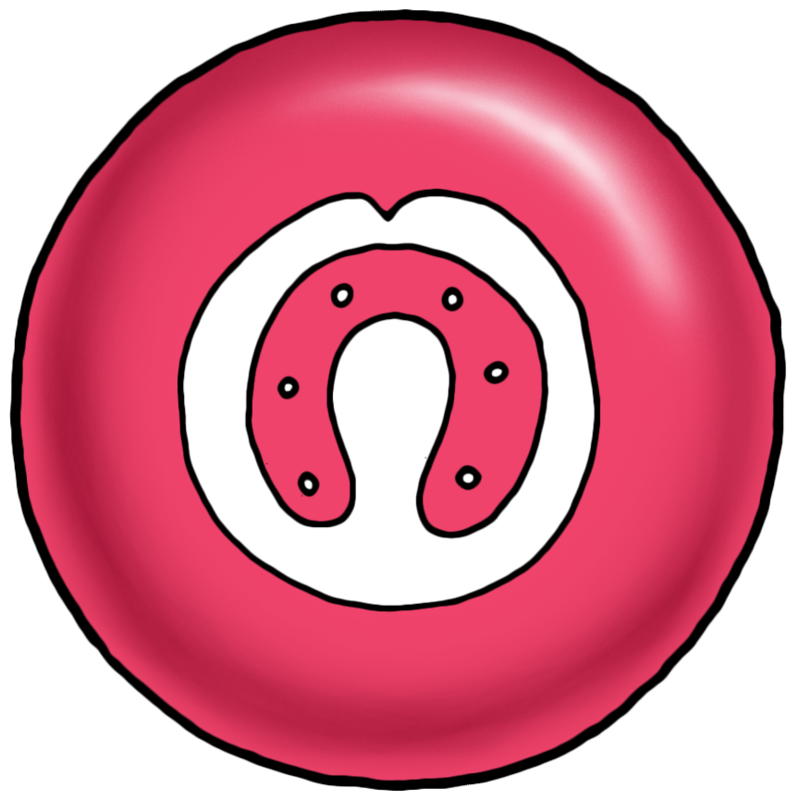 Holly grew up next door to Chestnut Farm with Ollie Oink. 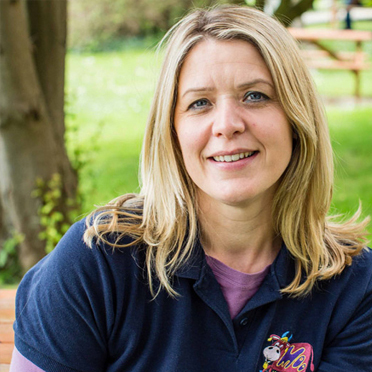 Being a bit of an ‘80s chick she spent a lot of her early days lying around in her shell suit, but as she grew older she really enjoyed playing games and going for long walks with Ollie. When Ollie left for Chestnut Farm Holly started to feel a bit cooped up on her own so she hatched a plan to go and join the croo. 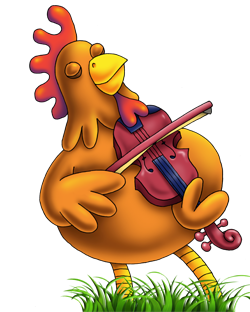 Early one morning she scuttled off to the market where she found a lovely second hand fiddle. She practised and practised, day and night until she was confident enough to fly over the fence and play some songs to the others. Barry has always lived at Chestnut Farm but until recently he's spent most of his time out in the fields. Being the oldest, best behaved sheep it was always his job to count the others in and out of the fold each day. Barry often enjoys watching football with Doris and of course his favourite player is English player, Alan Shearer. 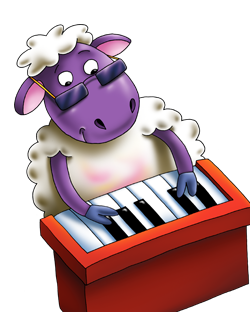 He says his favourite song is 'Find the rainbow' because he gets to play the piano really fast! He also loves ‘spring has sprung' because it reminds him of his birthday. 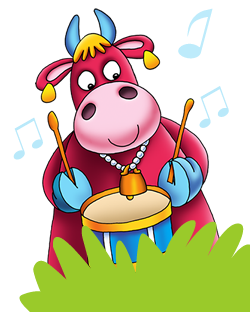 The Australian Maggie Moo Music team are all very excited about cultivating our Aussie Moo Farm. 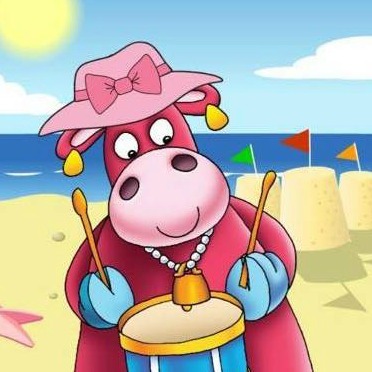 We'll be having loads of Moo fun bringing Maggie Moo Music to the ears and hearts of Australians. Australian Head Farmer. 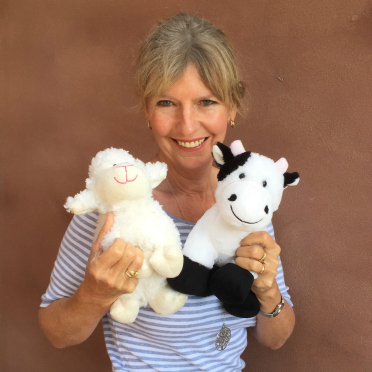 With 25 years experience in franchising and mum to 2 grown up kids, Carolyn is all set to grow Maggie Moo Music Australia. The indispensable Jess is involved in all aspects of running Moo HQ. Her Diploma in Early childhood education is a great asset to Moo HQ. 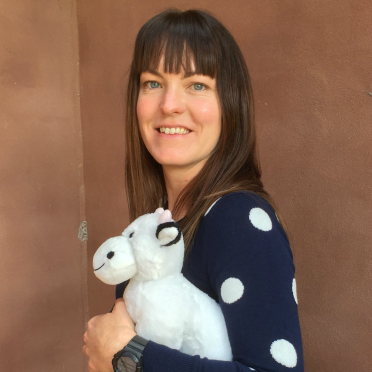 State Farmer (NSW & ACT), passion for marketing and business, and mum to 3.. Belinda is excited to be on the team to grow Moo in Australia. 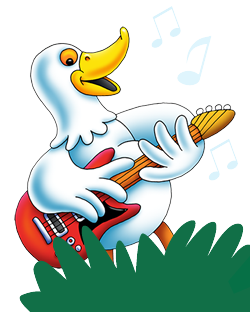 The first Maggie Moo Music farmer in Australia. 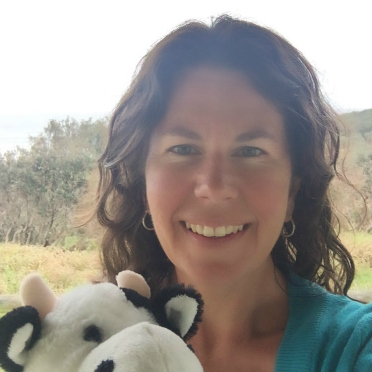 After experiencing the magic of Moo in her Scottish homeland, she was excited to bring Moo to Australia when she moved here in 2015. We have a few state farming positions available. If you think you have what it takes to be on the team and help us grow Moo in Australia, then contact us today! 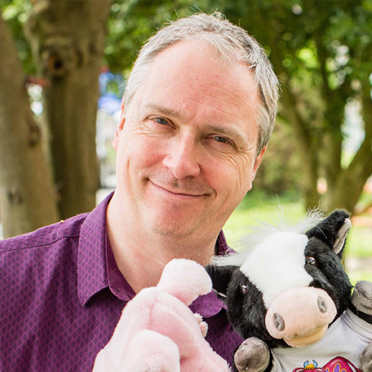 Opportunities exist for local area franchisees, also affectionately called farmers. 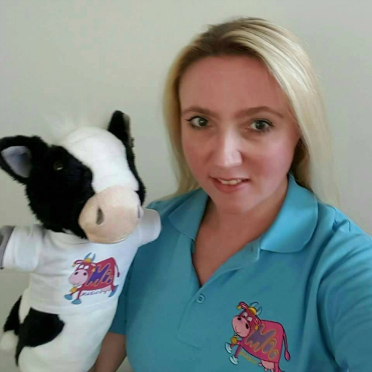 If you think running Maggie Moo Sessions and Moo Doos in your area sounds good, download the info pack today! 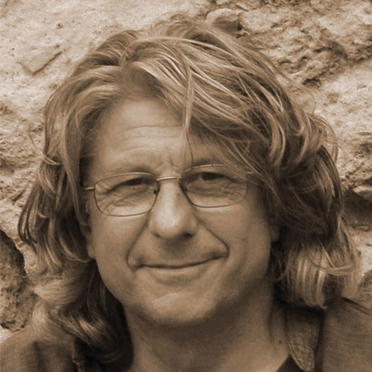 Meet some of the UK originators, creators, consultants and advisory team for Moo Music. The multi-talented musician, singer and songwriter (who wrote all of the Moo Music songs) and father of 3. The ideas man, facilitator, musician, marketer and father of 2. The NNEB (national nursery examination board) qualified session running consultant, musician, singer and mother of 2. 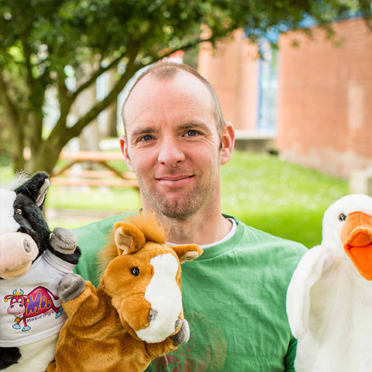 The incredible illustrator that brought Maggie Moo, Ollie Oink, Doris Duck and Henry Horse to life. This browser does not support the HTML5 audio tag. This browser does not support the HTML5 audio tag. This browser does not support the HTML5 audio tag. This browser does not support the HTML5 audio tag.